One of the big mysteries regarding a Disney World vacation is the revamped FastPass+. What exactly is it? How does it work? What are the benefits? How do I use it? These questions and more will be covered as I discuss five essential tips for using FastPass+ at Disney World. 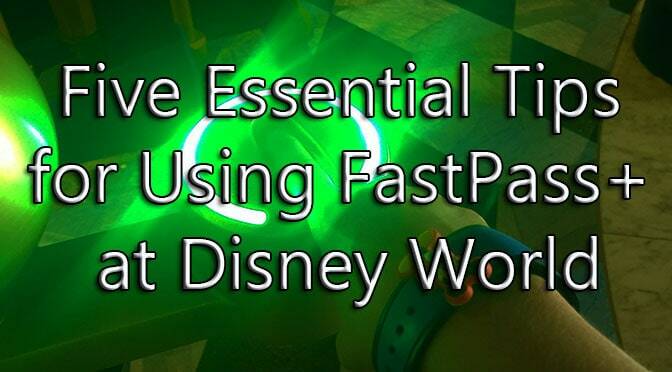 In order to make the most of FastPass+, you need to understand what exactly it is. 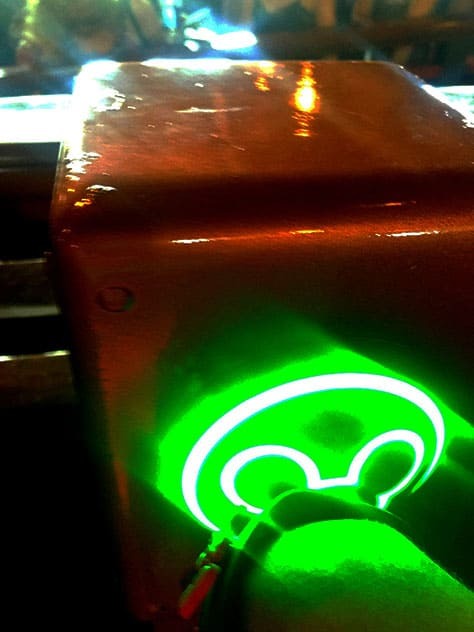 Fully launched in 2014, the system aims to provide guests with a more efficient way to personalize and plan their time at Disney World Theme Parks. FastPass+ works with MagicBands, vinyl bracelets equipped with RFID chips that sync with your My Disney Experience account, as well as RFID enabled Disney World park tickets. There, you can reserve FastPasses for all four Disney World Theme Parks. It is necessary to link your ticket reservations to your account to make FastPass reservations. If you stay at a Disney Resort, you can make FastPass selections 60 days in advance; non-Disney resort guests can book 30 days in advance. With the new FastPass+ system, shows, character meet and greets, and even parades and fireworks can be reserved for a certain time, in addition to rides. After you use your first three FastPasses, you can book an additional FastPass+. You can use your mobile device or visit a kiosk inside the park. You can book one or two FP+, then use them in the park, then book other FP+ in another park. If you have a smartphone, you’ll want to download the My Disney Experience. First of all, it’s free. Second, it’s the best way to stay connected to your Fastpass+ plans. With a click of a screen, you can access your FastPass+ reservations, make changes on the fly and make dinner reservations. Along with Character Locator, you’ll have all the Disney World bases covered. Plus, free Wi-Fi is available throughout Disney World Theme Parks and hotels, so using the app won’t use up your phone’s data plan. Two Disney World Theme Park have a tier system set up for FastPass+. It’s best to be aware of the tier system so you use your FastPass reservations wisely. Epcot and Hollywood Studios parks both operate on the tiered system, meaning you can only pick one FastPass from Tier 1 (the most popular attractions) and two passes from Tier 2 (popular, but less in-demand attractions). For instance, you can’t reserve a FastPass for Test Track and Soarin’ on the same day. For more information about the FastPass+ Tier system, click here. There are certain times of the day when a FastPass+ reservation is ideal. For example, crowds surge during late morning and afternoon so those are fantastic times to make use of your passes. In the early morning hours, especially during Extra Magic Hours available to Disney Resort guests, the park is much less crowded meaning wait times are easy to handle. The same can be said for later in evening, when people sit down to eat or head back to their hotel rooms. Save your passes for when lines are longest and you’ll make the most of this Disney World line-skipping benefit. So… Flight of Passage… merely impossible to get a FP for. Any tips? I was on the app when FP selections opened and still didn’t get it. I’ve also been checking back and nothing so far. Once all FP are used them I can book for second park? Can I do this from app or do I have to be at second park? And do I get to book 3 more? Once you use the 3, you can add the 4th from your phone for any park (based on availability). You keep adding an extra after the previous one is used. Can I get 2 fast passes at on park say in the morning at Epcot and 1 in the afternoon at MK? Or do you have to use all three at one park before getting a forth at another park? Must book all 3 in the same park first. So technically, you can get multiple fast passes for the same attraction if available? Hi Kenny. After using your first three fast passes, are you able to get an additional fast pass for an attraction you’ve already used a fast pass for (if available)? I.e. You’ve used your three FP’s, one of which were for Splash Mountain. Can you obtain an additional FP for Splash that same day? All available FP will become available for usage, but the most popular attractions are less likely as 4th FP.